Amazing what can be found when you’re in search of absolutely nothing. Things unexpected arise — an overnight snowman, totem poles and a teepee, a bird nest in the making, a pair of fawns on the 14th fairway. When wanderlust strikes, take to The Community Trail System — over 20 miles of trails heading this way and that, with detours that elevate your pulse as well as your curiosity. Whether jogging, strolling, biking or gliding along on skinny skis in winter, the trails that course through Martis Camp are ideally suited for burning calories and creating memories. 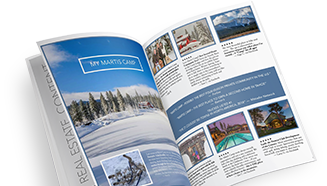 Call us today at 1-800-721-9005 to discover how the Community Trails and our other engaging lifestyle amenities have created a truly unsurpassed Tahoe experience at Martis Camp.